Jagruti's Cooking Odyssey: Tiranga Pyara ~ Tri colour peda,awards and promise ! Tiranga Pyara ~ Tri colour peda,awards and promise !
" Mera Joota Hai Japani, Ye Patloon Englistani, Sar Pe Lal Topi Roosi, Phir Bhi Dil Hai Hindustani"
Heat ghee in a heavy bottom pan, keep heat low and add cheese, milk powder and cream. Mix well and keep stirring so doesn't stick to bottom of the pan. Now add sugar and and keep stirring till everything comes together and becomes a one mass. Mixture should be like cookie dough so you can roll or make it into a shape. Now divide mixture into three equal parts. In one part add almond powder, in second add saffron and orange colour, and in third add green colour and pistacheo powder..mix well. let it cool, now add cardamom powder and mix well. Take small amount of mixture and roll out with your palm into a sausage shape. Do this with three mixture, now join together all three sausage like mixture and make it into a one sylinder shape. Now cut them into a small pieces and make round peda..Enjoy as much as we did ! and I would like to share these award with all of you, I am supposed to choose only 15 bloggers but I couldn't, it was very difficult....so Please all of you accept these two awards and place them on to your blogs...one more thing, I know at the moment I am not very regular on posting recipes and visiting your blogs, I promise from September I'll be a regular and will be visiting your blogs...till take care and forget me not ! Very patriotic pedas!! Loved the color and the shape. Lovely click too. Its so sweet of you that you have shared the awards with everyone. Congrats on your sweet awards. You are always in the heart. Wow wow wow ...penda khawa mate awvu padse!! They look great!! hats off to u! lovely tiranga jahanda coloured pedas prepared beautifully and skilfully.Congrats on ur well deserved awards and just keep rocking. lovely peda. though am not fond of peda but you made it look so colourful feel like having some right away. Congrats on the awards dear. you are truly deserving. Thank you Nivedita for your kind words ! Thank you Mina, when are you coming? most welcome.. Thank you sayanti ..try it out ! Pedas look colourful and so cute.Love the design on them too. Congrats on the awards, wishing you many more to come. @simply food, I made that design with the fork..
Those are cute looking pedas. Independence day is one occassion I used to wait eagerly every year. I loved wathching the parade and cultural events year after year. Congrats on all your awards Jagruti, your pedas looks so good, perfect for the event. Lovely colour of the pedas.. I love them.. Congrats on your awards! Do check my giveaway post..
Those are lovely pedas..Simply love the idea of incorporating the tricolor..
Lovely pedas..hats off to u! perfect for the occasion..congrats on your awards dear. I hope this is not a repeat coment, but my computer froze up on me:( These are gorgeous! And congratulations on your awards and to your recipients as well:)Oh, and Happy Upcoming Independence Day! 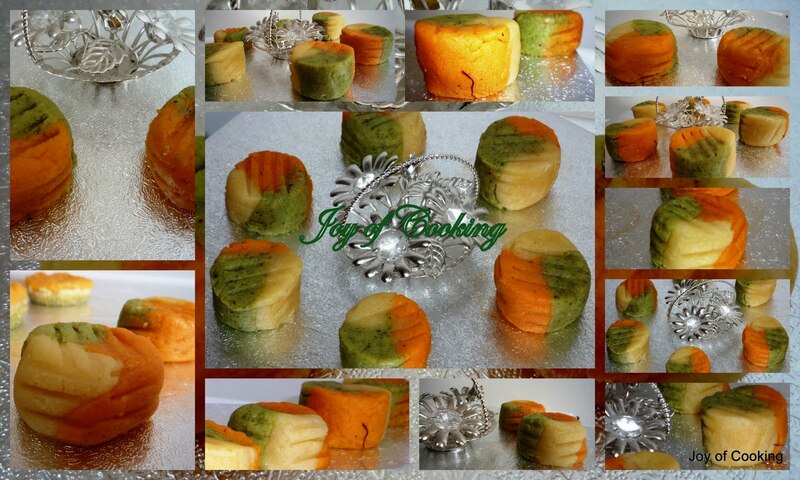 congrats on ur awards jagruti..and these tri colour pedas look simply fantastic and yummy ! That looks very pretty with tri-colour. Colorful recipe and pedas. Nice to be here. Best wishes. Peda looks delicious...droolin here..congrats on ur awards..
Jagruti, the sweets look lovely and combining them in this fashion wow is simply wonderful... Wonderful sweets for Aug 15th!!! Congrats on your awards dear!!! Peda looks absolutely awesome! Wish I could take one! Wow! what a beautiful, artistic and delicious pedas with national colours in it. Looks superb, mouth watering and gorgeous. Beautiful and lovely post ! !The A.R.Rahman video is awesome ! !Great post ! !Thanks for sharing ! !And yes my Yatra was aswesome ! !Thanks for all your wishes. Creative, Yummy Peda Jags. Congrats on ur awards!!! Those tri-colored pedhas are really tempting, જાગૃતિ!